Since 1985 MPB has been Mississippi’s source for news and entertainment on the radio. MPB Think Radio features thought provoking news and analysis programs as well as shows that entertain and inspire. MPB airs 15 local call-in shows each week from 9 a.m. to noon. Our expert hosts focus on topics relevant to Mississippians, informing you on everything from legal advice to how to grow greener grass. Find out more about MPB Think Radio and view a list of programs. MPB’s HD channel, MPB Music Radio, features music from an array of musical genres. Our diverse lineups on both MPB Think and Music radio offer something for every listener. 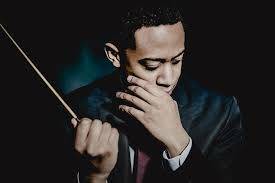 Today our guest is multi-talented Mississippi native and orchestral conductor William G. Walker. On today's show: Cleanup begins as a historic Mississippi city recovers from weekend tornadoes. Then, the challenges facing some guard members returning to Mississippi after months of service abroad. And after a Mississippi StoryCorps, noted poet and activist, Nikki Giovanni, visits Mississippi. Black holes and messages from the dead, plus rock-and-soul! Novelist Nell Freudenberger, Spencer Thomas of Young Valley, singer-songwriter Louise Page and a special appearance by Maggie Rose. Damage assessment is underway after a dangerous storm leaves behind one death, injuries and thousands still without power. We'll hear from Governor Phil Bryant, plus disaster response from the Mississippi Emergency Management Agency, and MPB's Ashley Norwood in Vicksburg with Warren county emergency managers. And after Everyday Tech, a personal story of the life-changing impact of organ donation.